High fructose corn syrup is a sweetener derived from corn. It is a processed form of sugar that chemically changes the ratio of glucose to fructose. What is so bad about HFCS? It’s all about how it metabolizes as fat in the body. This is because unlike glucose, which requires digestion, HFCS quickly absorbs in the bloodstream. The speed and quantity of fructose entering the bloodstream overwhelms the liver to the point where it has to convert most of into fat. Overtime, HFCS can lead to obesity, diabetes, metabolic syndrome and heart disease. 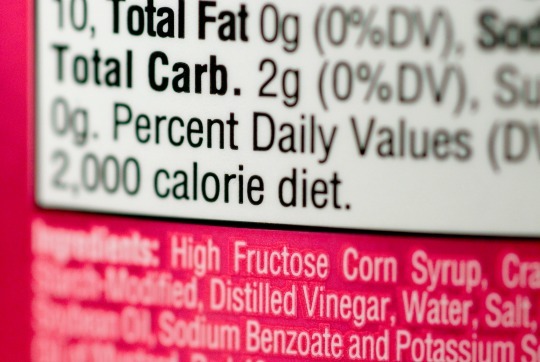 Watch out for “glucose-fructose” on a label, as that’s how HFCS can be labeled in Canada. MSG is a flavor enhancer found in anything from canned soups to processed meats. Although, it’s popular knowledge that MSG is “one of the bad guys” not a lot of us know why. MSG is an excitotoxin. This means it can cause severe damage or death to your cells simply from overexcitement. According to Dr. Russell Blaylock, a board-certified neurosurgeon, this damage can contribute to: varying degrees of brain damage, alzheimers, parkinsons disease and learning disabilities. NutraSweet, Equal, Sweet One and Spoonful are some of the common aspartame brands. Aspartame, like MSG, is another excitotoxin. Along with its list of associated health problems like migraine headaches, seizures in children with epilepsy and increased risk of brain tumors, it’s carcinogenic and as it’s an artificial sweetener, actually stimulates your body to store more fat (more on this in another post). Hydrogenation is a practice of applying hydrogen gas to oil, in order to increase its shelf life and prevent rancidity. The problem with this method is that in this process, trans fat is produced. Trans fat can increase blood cholesterol & LDL “bad cholesterol”, in turn increasing ones risk of atherosclerosis and heart disease. Avoid partially hydrogenated oils on the ingredient list. Nitrates/nitrites are flavouring, colouring and preservatives added to certain processed meats. These chemicals turn into nitrosamines, which have been linked to many forms of cancers according to the World Research Fund. Look for uncured, no nitrates or nitrate free with your packaged foods.